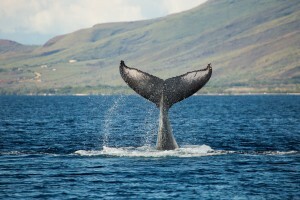 The Pacific Whale Foundation is presenting the 35th Annual World Whale Day on Saturday, Feb. 14, with performances from Hawai‘i’s top recording artists. 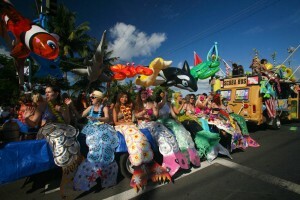 The show starts at 9 a.m. at Kalama Park in Kīhei beginning with the Parade of Whales along South Kīhei Road. 11 a.m.: George Kahumoku Jr.
PWF is also conducting an online auction of rare items and memorable activities. All proceeds will benefit PWF research, education and conservation programs. 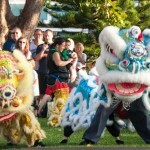 Interested parties can also become a “friend of the festival” by making a tax-deductible donation of $50 or more. Friends will receive a free World Whale Day T-shirt and water bottle. Click here to become a friend and make a donation.